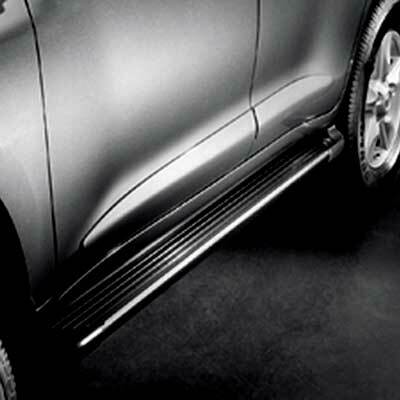 Add some factory protection for your body panels and doors with a new set of Toyota Land Cruiser Body Side Moldings. These Land Cruiser Body Side Moldings will add a subtle stylish element as well as great protection to your Toyota.. Toyota Land Cruiser Body Side Moldings are made from a durable rubber for great protection and long life. These high quality Toyota Land Cruiser Body Side Moldings attach by means of an adhesive backing so there is no drilling or fabrication required.